The Virgo December 2015 Horoscope predicts that collaboration and social interaction are necessary to accomplish your goals this month. You should not be adamant and stick to your way, as that is not the best way. Most of the planets are in the Southern sector of your chart towards your nadir sign. Family and emotional issues will dominate over career and personal ambitions. Emotional happiness will naturally help your career growth in December 2015. Planets are moving forward and progress in life will be quite rapid for the Virgins this month. The career astrology predictions for December 2015 foretell that you should be relaxed while working. Do not have a hectic schedule at the work place. You should not get into stressful situations and maintain your emotional balance. Sufficient breaks are advised while working for the Virgo zodiac sign. 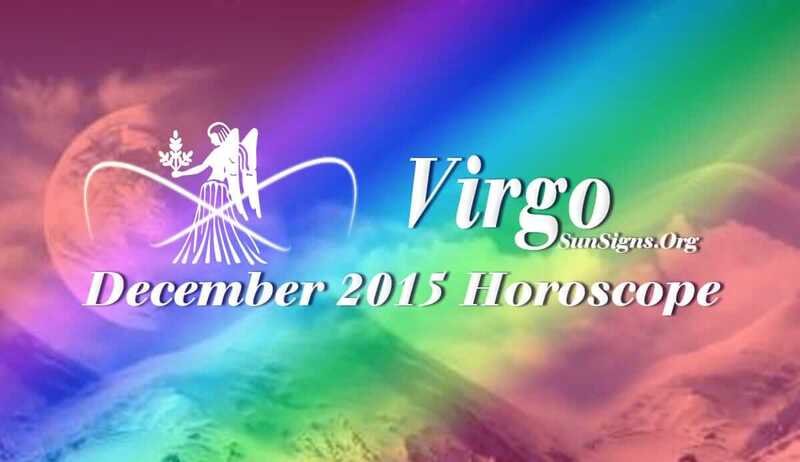 Fiscal situation is excellent in December 2015 for the Virgo. And this comes without much exertion till 21st. You earn money through your work, business ventures or your spouse. There will be speculative returns and windfalls. You can be creative while finding new methods to make money. Love life will be turbulent for the next few months for the Virgins. Present relationships will become more serious or will fold up. Singles will be able to find true love in social parties or while dating. People who have just been through a divorce will be successful in getting married again. Pregnancy is better avoided in December 2015. The December 2015 Virgo horoscope predicts that you have to take it easy and relax. Health will improve radically after 16th. Learning yoga and other alternative healing techniques can help reduce your stress.